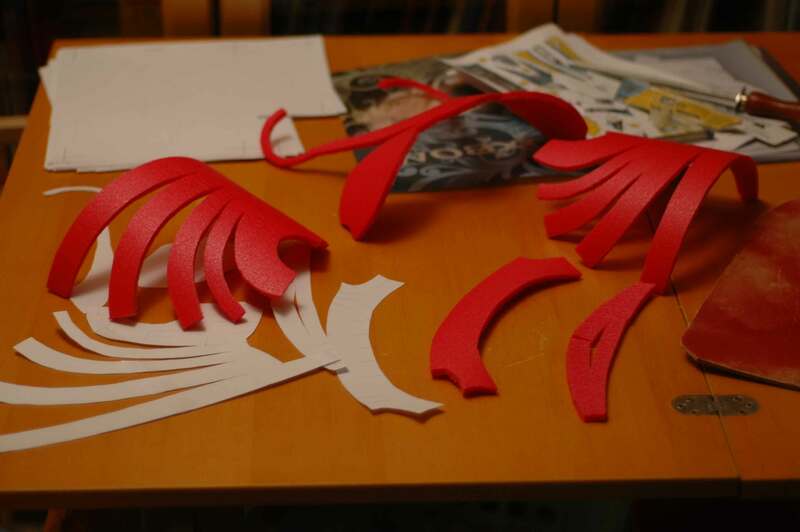 Im very slow at this but I have built a full arm so far will take some photos to share with you! Thank you for all the sharing you do to help us with our builds! 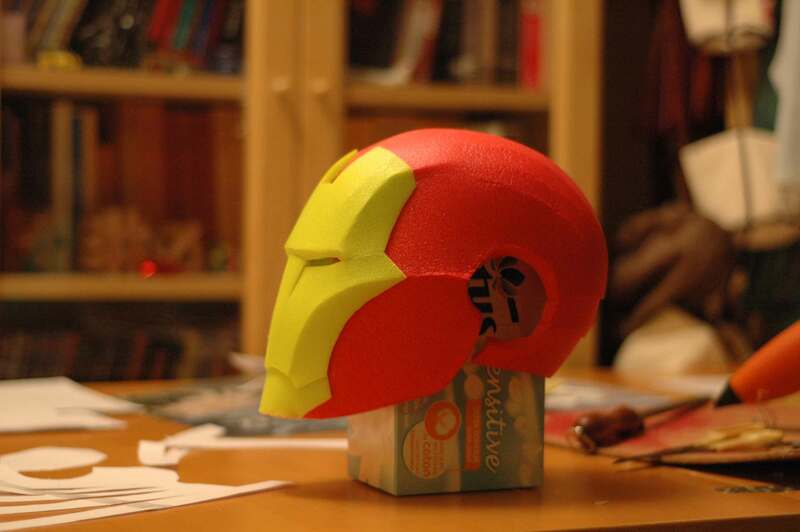 Re: Speed-building files'n'tricks : added FOAM Iron Man Ultimate v2. 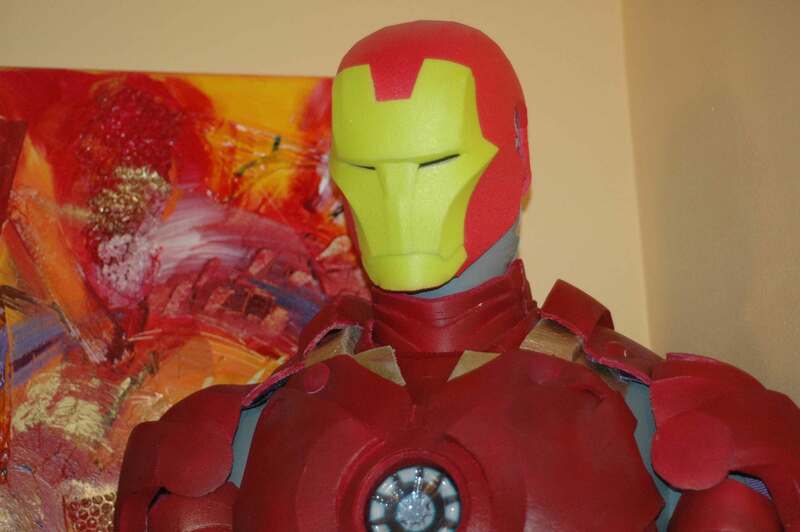 Iron Man Ultimate JFcustomized FOAM pepakura files. Re: Speed-building files'n'tricks : 4 days FOAM Iron Men. Thanks so much for putting this together. I'm going to try to build the Mark VII costume in time for Dragoncon. But, since this is the first time I have build something like this, I have a few questions. 1. Why are there two different versions of the back? Which one do you think is easier to build? 2. Is the thigh the right thigh (or the left thigh)? Do I have to turn all the pattern pieces upside down to make the opposite one? Same question for the shin. 3. On the other hand, the upper forearm looks symetric. So, can I just build 2 of these? Or do I have to flip the pattern over? Which parts do I have to flip over? 4. What thickness of foam do you use? The same stuff you used here? (6.5 mm PE foam) Do you think it is ok to use 2 or 3 mm foam? Because, I am not sure if I can get the right foam easily here. I used 2mm and 3mm foam, def not as stable so fabric back it for stability and to make it stiffer! Re: FOAM speed-building files'n'tricks : added Iron Man ULTIMATE v2. Since I have "Letter" paper and not "A4", I believe that I can just go into the file->print paper and settings menu and change it to letter. Then, I can drag the parts around a little to save paper. I think this is the right way to do it. 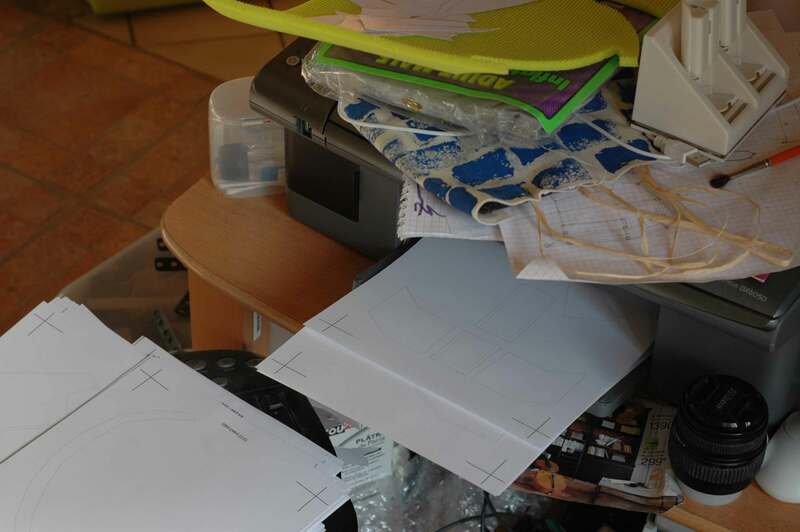 But, if I just open the model and go to print it, it gives me a warning that the paper size of the model and the paper size of the printer don't match and asks if I want to resize it. I am guessing that this would be a "bad thing" and would make the parts the wrong size. Am I right about this? [...] Am I right about this? Yes, you're all right. It does not take a long time at all. Re: FOAM speed-building files'n'tricks : added War Machine. Robo3687's War Machine, JFcustomized FOAM files. Thank you dude!!! You are AWESOME!!!!!!! Noooo! Speed Building foam edits released after I've completed all my WM parts but the Gatling! Just kidding, great work with this JF. I tried your soda bottle pivot trick, but I used cheap water bottles, and they crinkled and melted when I tried to glue them in . Now I'm using heavy duty snaps from the craft store. $.50 a snap, and they're much thinner than bottle tops. Plus if you over stress them, they release instead of tearing the foam. Love your arc tip too. Thanks again for this great thread. I had a doubt about the Extremis scaling, so I built the halmet as a check test. It's very skiny, in fact it fits me as close as a sock. I must increase scale factor up to 11 or 12 and check again. Wow! You are awesome. Those are some incredible seams and straight lines... master in the making there! Wow... so many files. Any chance you'll be modding Dancin Fools MkIII? Foam comes from "Domyos fitness TG 100" polyethylen (PE) mats. I bought as much rolls as I could carry at once from Décathlon's checkout to the back of my car. I first have to unfold the IM Classical Armour, from our well known EyeOfSAuron's thread, then I'll unfold this Mark III. And I'll build one too, with MkII painting. Re: FOAM speed-building files'n'tricks : added Guyver and War Machine. JFCustom, you've given me hope. I was about to call it quits last night on my whole project, but I'm going to give your methods a go. I'm working on the Mark III, so I'm anxiously waiting for your unfold. Awesome! Can't wait to see your armors.